That’s when I get the stunned reaction, “Wait, you make money blogging?” Yes. Yes, I do. Ok, not right now. I’ll show you the why behind that number shortly. When I watch other successful bloggers, the first thing I wonder is, “How did they start?” If I knew how they started and what steps they took, I could then follow those steps and achieve the same results. Right? So my mission is to tell my story from the beginning.. well, almost the beginning. I’m now a year in so humor me with a little backstory. Megan and I knew we wanted our blog to focus on local attractions. So we simply scheduled a lot of play dates. Our kids had fun, we took pictures and then wrote a post about each adventure. Simple. In May, we found a place that we loved: Connect 5 Family Center. We talked to the owner, Lisa and she agreed to give us a giveaway for admissions to her play center. We held that giveaway on our Facebook page. That one post got shared 62 times.. jaw-droppingly huge for us. We discovered that giveaways were the way to go. We approached more places by simply finding the name of the manager/owner of an attraction and contacting them via email. So many wonderful places agreed to work with us and we saw our audience grow. In June and July, blog traffic started to pick up. One of Megan’s posts, Fool Proof Fourth of July Desserts, got repinned a lot on Pinterest and increased our traffic nicely. Then on July 1st, the Stitch Fix Reviews Blog featured one of my review posts. How did that happen? Every time, I publish a Stitch Fix post I promote it on Twitter and tag Stitch Fix in my tweet. I’ve been featured three times in the Stitch Fix Review blog and each time Whimsicle has received a lovely boost in traffic. We signed onto BlogHer publishing Network in September and put an ad on our site. We started using Google Adsense in October. In November, right after we had our SITS day, Social Fabric contacted us and invited us to join their network. And although we began to have many more paying gigs, our traffic remained the same – hoving around 5,000 pageviews a month. At the end of 2014, Megan decided to take a step back from Whimsicle to focus more on her family. Promoting 10 Spring Break Activities with Kids in Phoenix – I was working in Starbucks one Saturday morning, waiting for my daughter to get out of dance. I had this post that I created the night before and wasn’t getting any traffic love. I belong to a lot of local Facebook parent boards and I thought this post would be of high value to many parents. I promoted the post on 14 of the boards and it took off. Not only did people read it, but they shared it and they clicked on all the internal links in it. I see that number and I’m laughing to myself. I love that my first income report is a negative number. Frankly, my Rebel has made such a difference in my pictures. It makes everything more beautiful which will in time draw in more readers. There it is. My blog beginnings documented for the world to see. 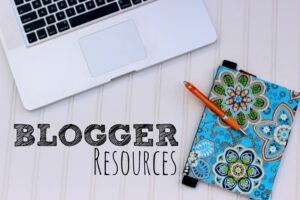 I hope that some just starting out in the blogosphere will gain some insight that may help in running their own blog…insight I hungrily sought out my first year. What questions can I answer for you as a blogger? What a great post! I love your transparency and honesty! I have been blogging for a while, but am just starting out on a new venture and am trying to build my readership. On my last site, it took me a while, but I eventually built up my numbers because it was a local site (much like yours) and I was able to do local giveaways and had a national company backing me up with other giveaway items. Now, my niche is Walt Disney World and I’m struggling. I create good content, or at least I think I do, but I’m only getting a dozen or so views a day. I’m starting to work social media more and trying to think of decent giveaways that won’t leave me broke. I have nearly 1,200 followers on Twitter and almost 500 on FB, so I must be doing something ok…the blog numbers just aren’t translating. I know there are readers out there and I’m constantly working on this project, but feel like I’m going no where. I don’t want to make a ton of money, but a little side money would be nice, eventually. How did you get those initial reader numbers up and running? I feel like if I can get more than a dozen or so people to the site, things could take off. The money may come afterward and that would be a bonus. Sorry for going on so long! Thank you for a great post! I plan to share it! For you, I think a great way to start is to network. There are so many Disney blogs out there. Start following them on twitter and retweeting their content. If you haven’t already, join Mom Select. Maria Bailey and her team run the Disney Social Media Moms celebrations which would also be an amazing place for you to network as well. They also have the opportunity to do Disney @Home Celebrations in January which would help you network with other Disney minded bloggers as well. I just signed up. I’m not sure they’ll accept me because my views are pretty low. I’m hoping they’ll check out my social media accounts to see the success I’m having there. I do connect with other Disney sites and blogs and I actually write for a couple, but they are interested in promoting they’re own sites, although I am allowed to promote my site on my bio, etc. It sounds like I’m mostly doing the right things, I just need to do more of it. Thanks and I’ll keep you posted! Thank you so much for sharing! Maybe we can sit down one day and brainstorm how we can get the negative into a positive! No kidding Melissa! We need to do that 🙂 I just enrolled in the Elite Blog Academy with the hopes of learning more to grow my blog. Have you heard of it? I finished Unit 1 so far and I’m really digging it. Wow! This is my favorite income break down post to date of any I’ve read. I started in February of this year and so many of this type of post is by people making serious money (like Pinch of Yum). So much encouraging, relevant info here. And I’m heading to the SITS conference next month! Thanks for sharing all of this! I have often wondered this! Thank you so much for sharing. Best of luck! Good on you for earning some money through the blog. I agree that writing the post is half the work; sharing and being active on promoting the post is just as important. I started small too. My first sponsored post was $80, and now I charge upwards of $400 per post. So don’t underestimate yourself and your blog. All the best! Glad to know how much it can increase Michelle!! Have been trying to work out how to start earning through my blog recently but I need to increase my outreach and I’m really struggling with this. Will be following ur advise closely ! Joann, I am curious to find out if you use a program to generate your income report or did you just keep track manually. I didn’t see anything about that in your post. Can you share the best way to do this? Hi Melissa! I use Taxbot for expenses and then use Paypal to look up all my incoming revenue. Hi JoAnn! That is a pretty awesome first month (even with your camera-ha!) of income. Thank you for sharing where your income is coming from as well as where your traffic is coming from and a couple suggestions on how you promoted your work. Super helpful! I know you mentioned how you decided to pick specific fonts to use for your photos (in another post), how did you go about choosing your fonts? I would also be curious to hear how you went through old photos and redid them. Did you have a specific criteria to be met before you would redo the photos? Thanks for sharing the startup details! For the fonts, I am taking an e-course right now called Elite Blog Academy. She lists a bunch of Picmonkey fonts that look good together. I chose one combination that matched my personal style. In terms of re-doing pictures, I was looking for pictures that had warm bright colors and that I could crop close with little white space. I redid any photo that I thought looked too dark and didn’t match my new style. With some photos, I simply took them into picmonkey and brightened them. With others, I completely replaced with a stock photo. The key that I wanted to be consistent so that if you see one of my pins on pinterest, you know its me.